Sign up and download a FREE CVC I Have/Who Has Activity Set! See what we're blogging about! I.P.I. (Independent Publishers International), Japan's leading distributor of language teaching materials from around the world, has officially released Stories for Young Readers, Book 1 and 2! We're thrilled that teachers will now have these textbooks available at local bookstores! Purchase from Nellies English Bookstore or David Paul's ETJ Book Service for special discounts! A hearty congrats to Teachers Pay Teachers named #1 Innovative Education Company in 2019 by Fast Company! Donald's English Classroom is proud to be a member of this dynamic company since 2012! Explore our complete library of ESL textbooks in this interactive pdf catalog. From Pre-K thru Adult, you'll find full programs that will fit your classroom needs! 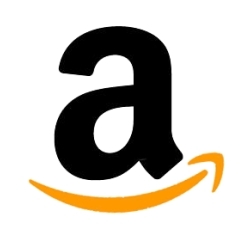 Download, peruse at your leisure, and purchase directly from this catalog! 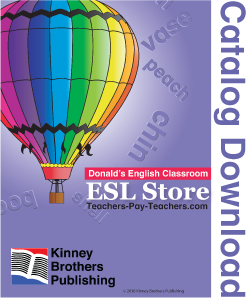 Our ESL Store Catalogue will give you an overview of all that Donald's English Classroom has to offer! From full textbook downloads, to charts, games, and activities, get the details of what's in store! Download, peruse at your leisure, and buy directly from this pdf file! Need an activity refresh with your flash card sets? Thrown into a class with no idea what to do? Find yourself with time at the end of class? Look no further. Check out our blog post that lists 41 Flash Card Activities or download the pdf and start using them today! Click on any flag to get the best price and fastest shipping world wide!